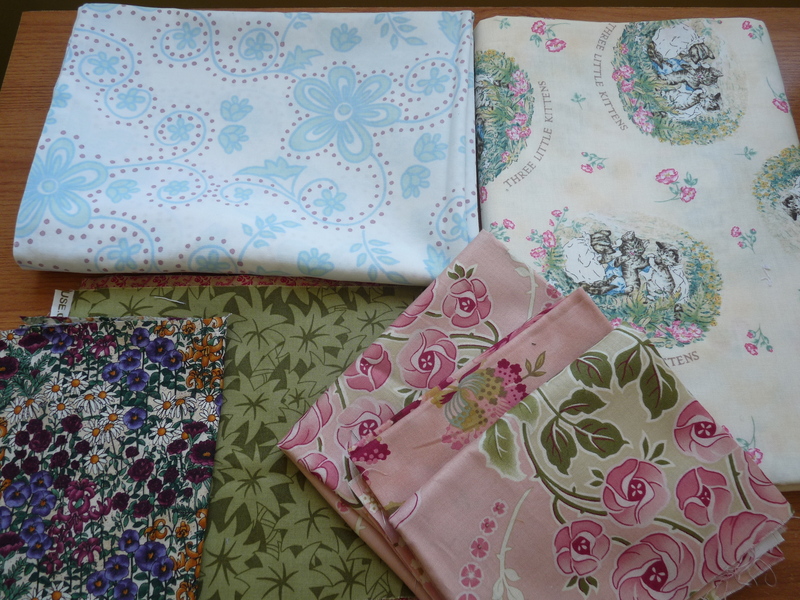 The other two pieces are FQS, middle- Button Tree Lane of Henry Glass Fabrics. This is to finish off a long overdue gift… And the other is earmarked for some Post Circle goodness and is Postcard Garden of Red Rooster Fabrics. Friday was the lunch time car boot down Falmouth (where I work) and being such a lovely day it did bring out a few people! 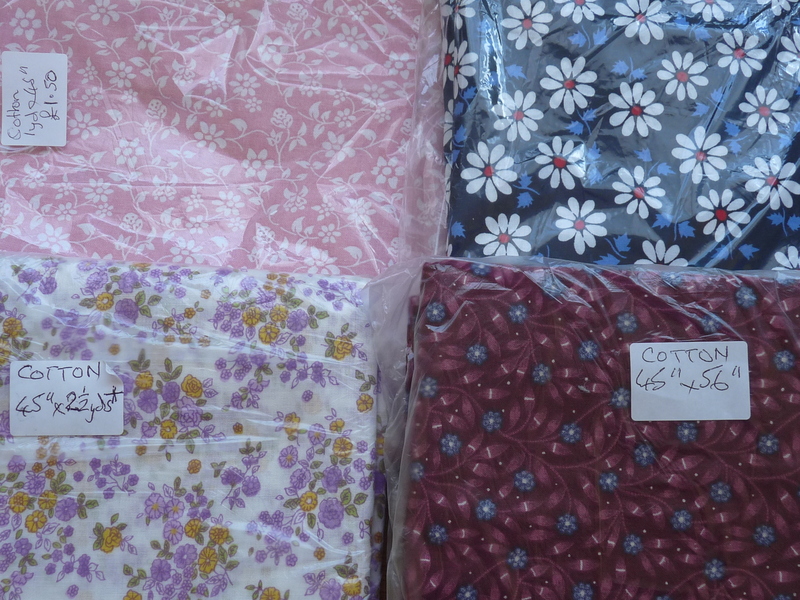 Managed to get these for bargain prices- all cottons and most of the pieces large enough to do clothes! The daisies top right think I ear mark for a skirt? And hopefully enough left for a bag. The top left is part of a bed set I scored at the car boot as well, the pillowcases are already earmarked for my next Ginger incarnation. 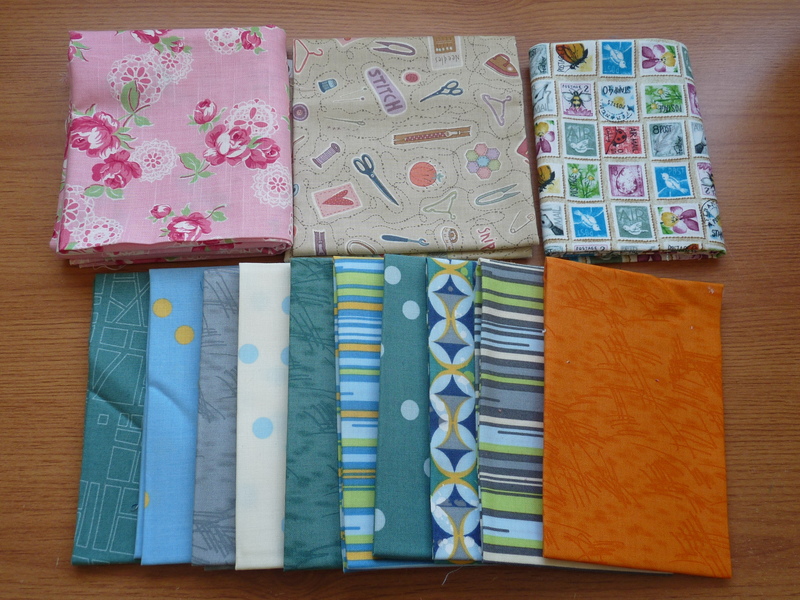 I finally added some Beatrix Potter to my stash too and the bottom… were gifted to me some lovely scrap pieces and Free Spirit FQS. Aren’t they lovely? Hope everyone is having a fab weekend. Linking up with Molli Sparkles. NICE! I am loving the postcard Garden print, it looks so cool. reporting from the linky party, gorgeous fabric, hope to see ya next sunday too..
Loads of beautiful fabric! I went to the car boot sale yesterday in search of fabric and came away empty handed 😦 well empty of fabric that is! Jealous!! Haha.